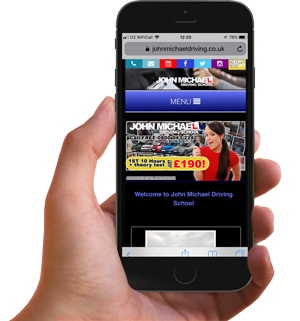 It is now essential to have a site that works on both desktop and mobile devices. 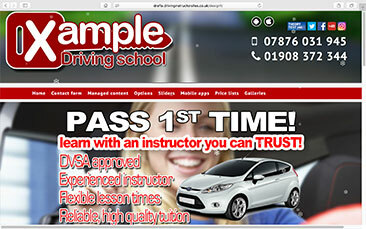 Very often, sites are a compromise of the two, working ok on both but not necessarily great on either! 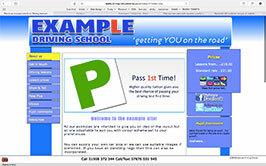 The initial site set up is £95 and monthly cost from £20 to £45 depending on your prefered package. If you look through these example layouts, you will notice that the background images used are pretty much the same for all. This is deliberate to help compare layouts but when you get your site, you can very easily use other images from a selction and change them as often as you like. You will also notice that they all have the same pages and content and again this is so you can more easily decide the one you like without having to worry about what design comes with what options etc. They all come with the same and you can add unlimited pages and content to your site as required.